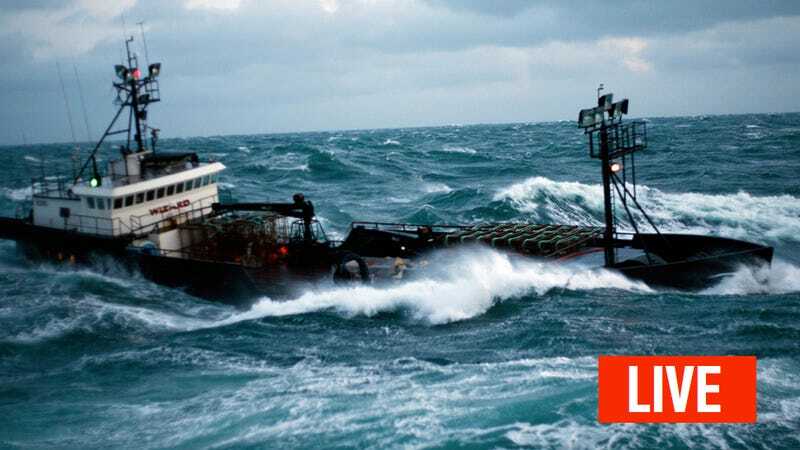 The Deadliest Catch is one of the most insane and craziest shows on the Discovery Channel. And today we got two of the captains out of the freezing Bering Sea in Alaska to come chat with you. Ask them anything you want! We're lucky to have Sig Hansen, the captain of the Northwestern and Keith Colburn of the Wizard who, instead of catching crab, will be answering your questions. This season, the captains are fighting through the icy water back in search of King and Opilio crab. Of course, there is also infighting on the vessels and all the usual Deadliest Catch goodness you've come to know and love. Sig and Keith will be here for the next hour. Feel free to ask them anything you want about life on the high seas, how tough it actually is out there, filming, or what they drive. This is wide open and the floor is yours. UPDATE: Sig and Keith had to leave for some more stuff, but thanks for asking all the questions!